Borough of Manhattan Community College to Open the New Fiterman Hall in the Fall! “if he would like — in his secret heart — to douse the empty trailers with gasoline and set them ablaze in a kind of exorcism rite? He replied “That would be arson.” But he did not say “No”. In addition to more classrooms and faculty offices, the new Fiterman Hall will offer something that has been in short supply at the college: ample space outside and around classrooms for students to socialize, study and simply hang out. “This will be the first time we can give our students a college experience,” Dr. Pérez said. “They’ve been stuck in a box and we’ve asked them to come in all hours of the day and on the weekends.” Soon, he said, they will have double-height atrium lounges, a multilevel quiet study area and a ground-floor cafe overlooking Silverstein Family Park, in front of 7 World Trade Center. 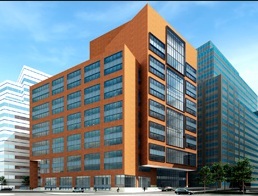 We wish all of our colleagues at BMCC well in their new building. Supreme Court Ruling Has Many Implications! “By opening new avenues for the courts to rewrite the law, the federal government may have won the battle but lost the war. Indeed, it is becoming so commonplace for the federal courts to invalidate legislation that a decision like the health care one is celebrated resoundingly — even when the court has invalidated part of a law Congress passed. In just one day, the Supreme Court struck down as unconstitutional just as many laws of Congress as it did during the first 70 years of its existence: two. Obviously, health care has captured the minds of Americans — but moments before the court announced that decision, which upheld the overall law but invalidated a requirement that states expand Medicaid coverage in exchange for federal financing, it struck down another law, the Stolen Valor Act, which made it a federal misdemeanor to lie about having received a military decoration. The health care decision also contains the seeds for a potential restructuring of federal-state relations. For example, until now, it had been understood that when the federal government gave money to a state in exchange for the state’s doing something, the federal government was free to do so as long as a reasonable relationship existed between the federal funds and the act the federal government wanted the state to perform. In potentially ominous language, the decision says, for the first time, that such a threat is coercive and that the states cannot be penalized for not expanding their Medicaid coverage after receiving funds. And it does so in the context of Medicaid, which Congress created and can alter, amend or abolish at any time. The states knew the terms of the deal when they joined — and those terms continue to be enshrined in the federal code. The government told the court that longstanding laws, like the Elementary and Secondary Education Act of 1965 and the Family Educational Rights and Privacy Act of 1974, contain clauses that condition money on state performance of certain activities. The decision leaves open the question of whether those acts, and many others (like the Clean Air Act), are now unconstitutional as well. If Katyal is correct in his analysis, this decision portends a vast shift in the power of the Court over Congress and has far reaching implications in terms of the power struggles between the federal government and the states. President Obama’s Healthcare System Updheld! The Supreme Court on Thursday upheld the individual insurance requirement at the heart of President Barack Obama’s historic health care overhaul. Breaking with the court’s other conservative justices, Chief Justice John Roberts announced the judgment that allows the law to go forward with its aim of covering more than 30 million uninsured Americans. The court’s four liberal justices, Stephen Breyer, Ruth Bader Ginsburg, Elena Kagan and Sonia Sotomayor, joined Roberts in the outcome. This decision will be a big boost for President Obama’s relection bid. Judgment Day: Supreme Court to Rule Today on President Obama’s Health Plan! All eyes will be on the U.S. Supreme Court today in anticipation of its ruling on President Obama’s health care system. The media and pundits have already been offering their predictions for the past several weeks. The Supreme Court is expected to issue a decision sometime after 10 a.m. today in a lawsuit brought by 26 states and the National Federation of Independent Business that challenges the constitutionality of the Affordable Care Act, the health care reform law Obama signed on March 23, 2010. Chief Justice John Roberts and his fellow justices could side with the president and allow the law to take root as intended by Congress. But the Supreme Court may elect to overturn the entire law, or just components of it, and in the process destroy or at least derail the most ambitious effort ever taken to address the shortcomings of the American health care system. In any case, today’s decision will be historic both in terms of what it means for health care in this country as well as the power of the Supreme Court to overturn an act of the Congress that was signed by the president. University of Virginia Reinstates Teresa Sullivan! “The two women at the center of the conflict, Sullivan and the board leader, Rector Helen E. Dragas, walked into the historic Rotunda in tandem for the meeting, a gesture of unity after a fortnight of division at Virginia’s public flagship university. “We have both come to the conclusion that it’s time to bring the U-Va. family back together,” Dragas told the Board of Visitors. It was a startling reversal for a board leader who had been steadfast in her insistence that Sullivan was moving too slowly to address fiscal and academic challenges. The board, pilloried for the ouster Dragas engineered in a campaign of secrecy and exclusion, reversed course in a brisk half-hour session open to the public. Glad to see that a governing board can admit it made a mistake. Traveling Today: Western Governors University! I am traveling today to Salt Lake City to evaluate Western Governors University(WGU) for the Massachusetts Board of Higher Education. WGU was founded by the governors of 19 U.S. states to expand access to higher education through online, competency-based degree programs. WGU presently enrolls more than 30,000 studens. WGU has made a proposal to offer sixteen teacher education degree programs to residents in the state of Massachusetts. My own opinion is that governing bodies, chancellors, and other administrators are ready to move in the directions that Selingo is proposing. The difficult part and my concern is whether they are able to do so by working with faculty and other constituents to implement these changes carefully and gracefully. Just as a reminder, today we wait for the decision of the University of Virginia’s governing board regarding the fate of the university’s ousted president, Teresa A. Sullivan. Robert Caro’s The Passage of Power! It is the time of year when many of us try to catch up on some of our pleasure reading. I have just finished Robert Caro’s The Passage of Power about Lyndon Johnson’s ascent to the presidency after John F. Kennedy’s assassination. It is Caro’s fourth volume on Johnson. If you have read any of his previous works then you know what you can expect in this volume. If you haven’t, Caro is one the more important and interesting biographers in our country today. For those of us who were alive in 1963, Caro’s lead up to and the days immediately following President Kennedy’s assassination will bring back powerful memories. I also enjoyed the stories on the Johnson/Robert Kennedy feud. In a word they hated each another. Caro presents the various sides of Johnson from country bumpkin to shrewd congressional wheeler-dealer to a president who had no problem wielding power in any way possible to achieve his goals. Johnson was particularly adept at reading people and pushing the right buttons to get them to see issues his way. Caro covers well several of Johnson’s significant accomplishment especially the passage of the Civil Rights Act, the Voting Rights Act, and antipoverty legislation. Johnson’s legacy also has to carry the burden of being the main focus of protest during the Vietnam War. For those of you interested in Johnson, the early 1960s, or simply the American political system, you will likely find The Passage of Power a good read. If you are not sure that you want to make the investment of time or money, you can check out former President Bill Clinton’s review in the New York Times. “When a pregnant Leah Fredman was overcome with exhaustion, juggling college and a small child, she would slip into a campus office and take a nap on the floor. “I would just sneak in there for an afternoon, lock the door, sleep for an hour, wake up and go on with my daily life,” she said with a laugh. Fredman graduated this month with a bachelor’s degree in psychology from Lehman College at the top of her class, accumulating a perfect 4.0 grade-point average and earning honors for best research paper. The petite mom says it wouldn’t have been possible without the school’s childcare center, in which her 3-year-old son is enrolled. Leah and her husband, Aron Wolinetz are indeed a CUNY family. Fredman, 29, will be teaching a psychology course at Lehman in the fall while she applies to Ph.D programs. Wolinetz, 34, is pursuing a doctorate in computer science at the CUNY Graduate Center. The couple moved to Riverdale from Israel about four years ago. What a great story! CUNY is fortunate to have the Leahs of the world as our students. Mayor Bloomberg Responds to New Limits on Disclosure of Teacher Evaluations! In response to new legislation limiting the public’s access to teacher evaluation data passed last week by Governor Mario Cuomo and the NYS Assembly and Senate, Mayor Michael Bloomberg has ordered all principals to telephone very student’s parent or guardian (over I million people) to advise them of their rights to see teacher evaluations. “Blasting the restrictions in a new state law as “very badly flawed,” Mayor Bloomberg on Friday announced an aggressive campaign to alert parents to new teacher ratings. City schools will be required to call every single parent with the ratings for their child’s teacher, Bloomberg announced in his weekly radio show. Bloomberg’s new policy will result in a ton of time and paperwork for already overburden school administrators that will only take them away from other more meaningful educational activities. It is indicative of how out of touch the Mayor is with running a school system and how bitter he is that he cannot control New York State legislative leaders.